Annual Reports & Articles - Northern Shores Community Development, Inc.
Click on the “download” link below to download a PDF copy of our 2011 Annual Report. Click on the “download” link below to download a PDF copy of our 2010 Annual Report. Click on the “download” link below to download a PDF copy of our 2009 Annual Report. Click on the “download” link below to download a PDF copy of our 2008 Annual Report. Kaye Zitka’s dream to one day have her own business creating and producing original interior furnishings finally came true with the assistance of Northern Shores Community Development, Inc.
Northern Michigan is benefiting from a portion of the $3.3 million in technical assistance grants being distributed by the U.S. Department of Treasury to 26 Native American financial institutions across the country. Northern Shores Community Development, Inc. (NSCDI) just closed its first two loans and there is cause for celebration. 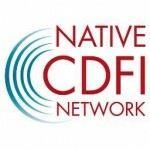 NSCDI is the new Native CDFI spin-off of the Little Traverse Bay Bands of Odawa Indians (Odawa) also known as the Waganakising Odawak, in Northern Michigan. This is a huge milestone for the NSCDI and the Odawa to reach, but it has not been easy getting here. Their journey up to this point has been one of incremental success, full of desire, perseverance, challenges overcome, and aspirations realized. Northern Shores Community Development, Inc. (NSCDI) First Annual Founder’s Day Celebration held on April 18, 2009 was a huge success recognizing all those individuals who contributed in some way, shape or form to the success of NSCDI’s first year of operation. Click on the links below to read our article in Odawa Trails about working with Trillium, A Complete Salon. Are you a LTBB Tribal Citizen struggling to secure the financial and technical assistance necessary to get your own small business established or to expand your existing small business?